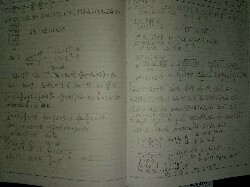 Six days have passed since I started learning mathematics. Until now I have studyed following items. It took long time to understand than I expected due to my aging. I've been working excercises. Until now, there was one math problem I didn't solve. This is below. Multiply 240 by some at least smal natural number , become square value of nutural number. Which nunber should be multiplied ?